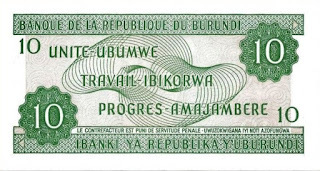 Front: Map outline with arms of Burundi. 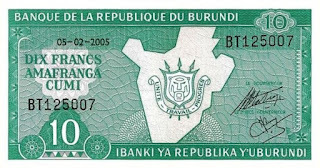 Signatures: Gaspard Sindayigaya (Le Gouverneur); LéonardSentore (Le 2e Vice-Gouverneur). 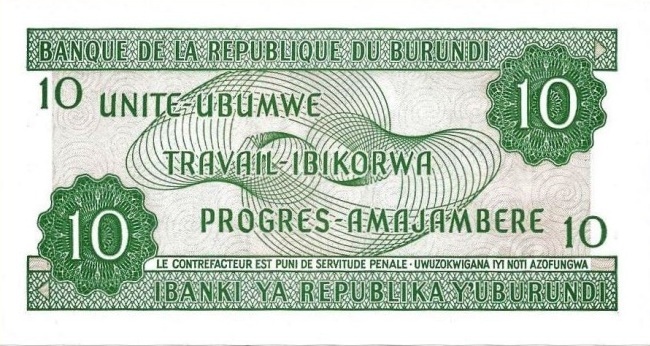 Issuer: Bank of the Republic of Burundi. 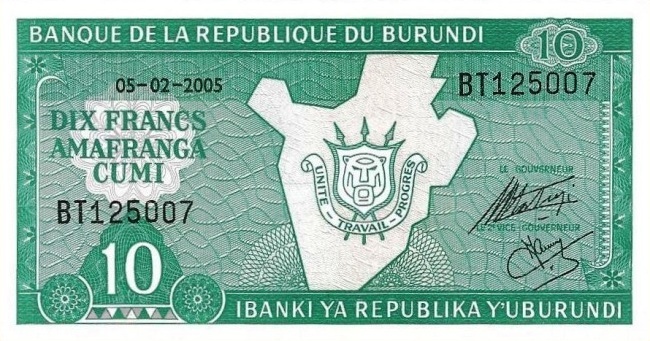 Date of issue: 1 November 2007.